East San Fernando Valley Transit Corridor Project Meeting Re-scheduled | Arleta Neighborhood Council East San Fernando Valley Transit Corridor Project Meeting Re-scheduled | Arleta Neighborhood Council | Making Arleta, CA the Greatest Neighborhood in Los Angeles. One Day at a Time. The Metro Board will now hear the East San Fernando Valley Transit Corridor Project at its June Board meeting, instead of May as was previously announced. In June 2018, Metro staff will present its findings and recommendations to the Metro Board of Directors for the East San Fernando Valley Transit Corridor Project. The report will include an overview of the more than 900 comments received during the Project’s 60-day public review period last fall, as well as staff’s recommendation to the Board for the preferred alternative (No Build, Transportation Systems Management (TSM), Bus Rapid Transit (BRT), or Light Rail Transit (LRT)). The Report will also include a recommendation for the number of stations and, if LRT is selected as the preferred alternative, the site for a new rail maintenance and storage facility (MSF). 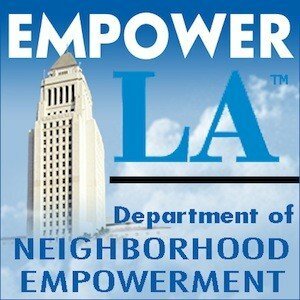 As is customary, the report and staff recommendations will first be discussed and reviewed by the Metro Planning and Programming Committee on Wednesday, June 20, 2018 at 2 p.m. Metro’s staff report will be posted to the Metro Board page in June no later than 72 hours prior to the start of the meeting. Following review and possible action by the Planning and Programming Committee, the report will be considered at Metro’s regular Board meeting on Thursday, June 28, 2018 at 9 am. Both the Committee and the Board of Directors meet at One Gateway Plaza, Board Room, 3rd Floor, Los Angeles, CA 90012. All Board and Committee meetings are open to the public. Look for more email updates leading up to the June meetings! Metro is aware that there are many stakeholders closely following the ESFV Project, and we do not anticipate any further changes to the Metro Board schedule.